Keno is a game of chance that relies on the randomness of luck more than any other predictable winning strategy. 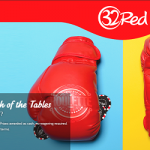 It is the fact that online Keno is unpredictable that makes the game so much fun to play. Despite the fact that there is no sure way to predict the winning numbers in Keno there are techniques that players can employ that will improve their odds of winning online Keno. Understanding the rules that are required to win is a perfect place to start improving the odds of winning. First, examine the payout table carefully for the different spots to pick and the payouts for the same. 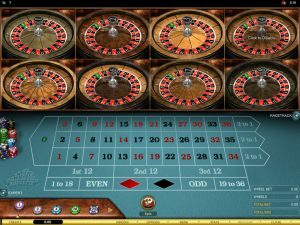 If a casino requires that half of the spots (numbers) chosen need to be picked to constitute a win then playing smaller spots will improve the player’s odds of winning. This is true because the odds of choosing three out of six numbers are better than trying to match six out of twelve numbers. Some games such as 7 spot have the same basic requirements of other games. For example, if the 7 spot game requires that the player match three spots to break even and the same is true of the 11 spot game; then the 11 spot game offers better odds of breaking even. Why? Because there are more numbers drawn in an 11 spot game then in a 7 spot game and more numbers mean that breaking even by hitting three of the eleven numbers is easier than hitting three of the seven numbers. The Andrucci theory maintains that random scenarios are influenced by larger fields of chaos and smaller fields of logical order. How does this apply to online Keno? The application of the Andrucci theory to Keno works like this. Numbers that randomly win occasionally (low appearance in historical data) are influenced by chaos; whereas, numbers that win frequently (high frequency in historical data) are influenced by order. Sounds simple, but in fact it is not. While historical data offers an extensive amount of information to the learned player, the basic fact that online Keno is influenced heavily by chance undoes the logical assumption that hot Keno numbers stay hot forever. The appearance of chance does not mean that the Andrucci theory is worthless. In fact, the theory is very valuable. 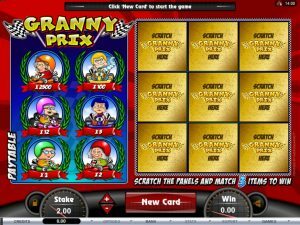 Playing Online Keno is an excellent way to improve game strategy. Many casinos online offer historical data and mining that data can help players determine frequent numbers to play in Keno, and then put this theory to test to see if any patterns emerge. Players looking for hot Keno numbers (logic) should realize that hot is a subjective term and not a finite term. Hot is dependent on an infinite number of outside influences (chaos) that are beyond the player’s control. Hot is also a short-term observation and determining the best frequent numbers to play in Keno requires a constant review of historical data and payout tables. Anything that improves the player’s odds is a worthwhile endeavor. Because numbers drawn in online Keno are drawn by an electronic machine, and the odds of being drawn are the same for every single number. Part of the fun of Keno is being able to apply luck and theory to the game in such a way that winning becomes more common occurrence. Practice makes perfect, as the saying goes, for those players who want to test some theories that might improve their winning chances, you should give online keno a go. 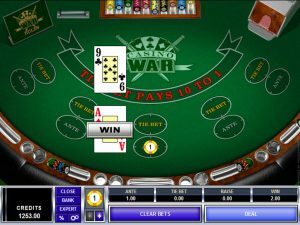 Playing Keno online, online slots, or any other casino game is not difficult, as most legitimate online casinos offer most of the best casino games you can play that can be found online. Try to tempt fate and control lady luck by trying to figure out if there is a strategy that can be used use in selecting the best hot Keno numbers to play. Remember however, that Keno is still in the end a game of luck and not a skills game. If you feel ready to try your luck on some real Keno action online. Then check out our list of online Keno casinos. You can either play for free or real money. Best of luck!